What a year! Numerous memories! Below are some highlights from 2018. It was an awesome year. My goals for next year are similar to Woody Guthrie's. -Studied a lot of Japanese, read/wrote/spoke a lot, wrote a test (results pending). Ok, ok. Cool cool cool. -Bathed in the ancient Dōgo onsen. -Slept in bamboo huts, traditional wooden Japanese houses, luxurious hotels, funky artsy 100-year old rooms, and more. -I dunno. It was fun. I'm thinking 2014 was a pretty good year. Let's see if I can remember some of the stuff I did, in no particular order. -Witnessed the first sunrise of the year from the top of Jō Yama. -Watched fireworks from beaches in Japan, Ecuador and Canada. This included carefully sequenced underwater fireworks in Shizunami, unregulated chaos, and a private show, respectively. In total, I probably watched fireworks about a dozen times. -Ate a borderline irresponsible amount of crabs in both Guayaquil and Dương Đông. -Bought a car and a motorcycle. -Drove a rickety open-top 4x4 up a mountain in Quito to the Swing at the End of the World. -Built many many things out of wood. Multiple tables, boxes, etc. -Acquired a 5L sausage stuffing machine; stuffed sausages. -Spit-roasted a suckling pig in my backyard with a homemade contraption. -Celebrated the 3rd anniversary of the Izu Running Club. And I ran another 1/2 marathon. -Hung a pre-owned sea turtle on my apartment wall. -Made ginger beer and yogurt from scratch (separately). -Didn't ride a bicycle. Not even once. Weird. -Rode in boats into a cave in Dogashima, down an Amazonian river in a wood canoe, and around Georgian Bay near a town called Tiny. In terms of actual things done in typical list format, I didn't do too many quote-unquote epic things this year, but it was a truly excellent year. All good times with good people. I had an awesome year. My goals for next year are similar to Woody Guthrie's. This time last year I made a list of stuff I had done in the previous year. I liked it, so I'm doing it again this year. Anyway 2012, you were pretty awesome. Let's bullet point! -Watched the first sunrise of 2012 hit Mount Fuji from the top of my favorite mountain. Whaddup 2011? You were pretty awesome. Let's bullet point! I was an awesome year. 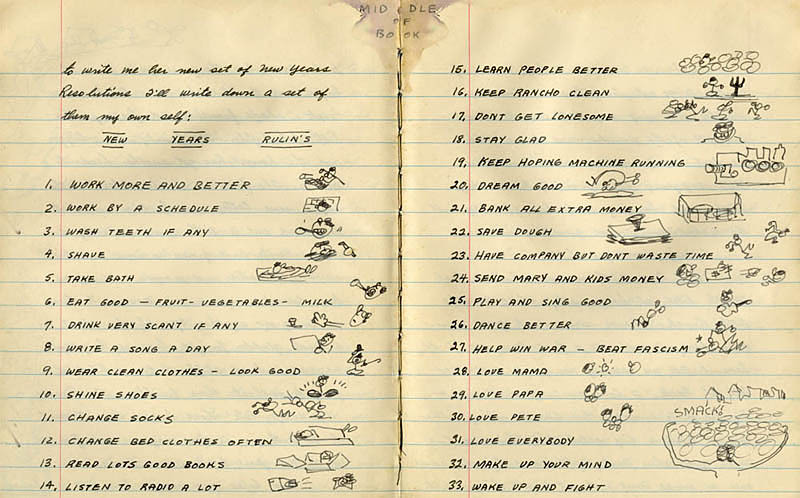 My goals for next year are similar to Woody Guthrie's. I'm Marc. This is my wobsite since 2009. I like adventure. 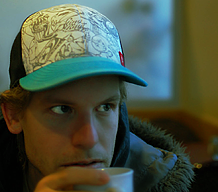 Sometimes I wear a hat.